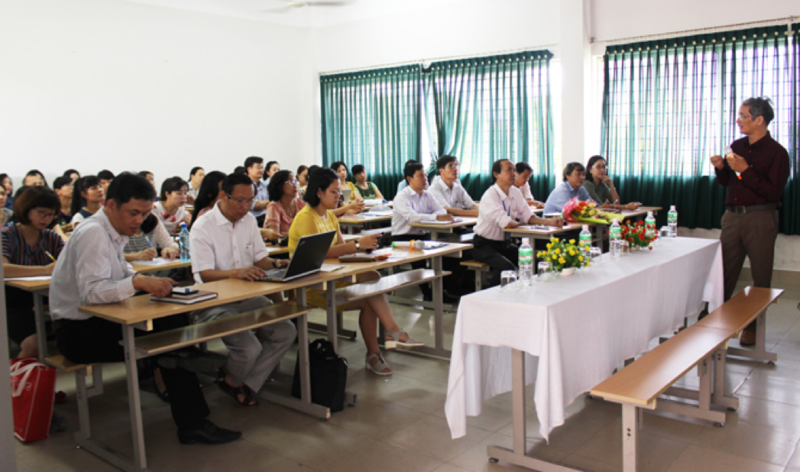 On the morning of 9 May, 2017, nearly 100 UFLS staff attended the seminar on “Quantitative Methods in Social Sciences and Humanities Research” conducted at UFLS by Dr. 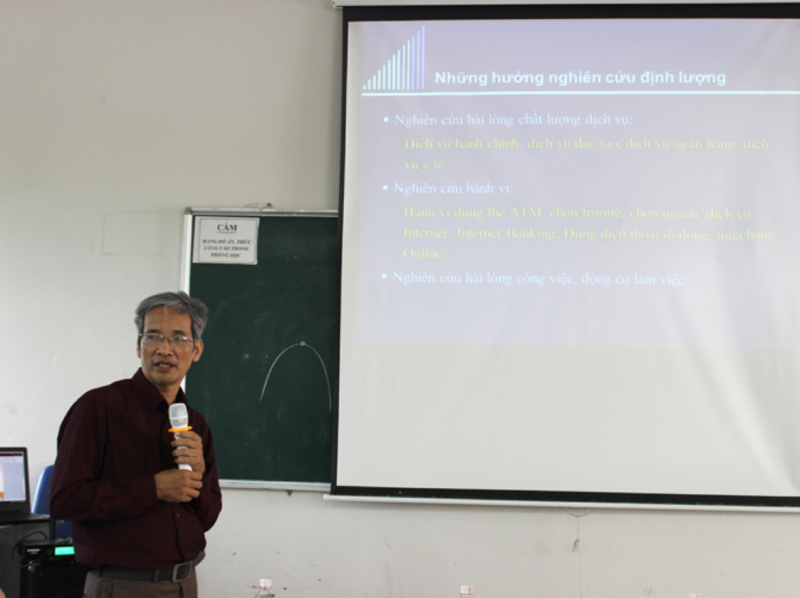 Le Dan - Dean of Statistics and Information Technology, University of Economics, the University of Danang. During the seminar, Dr. 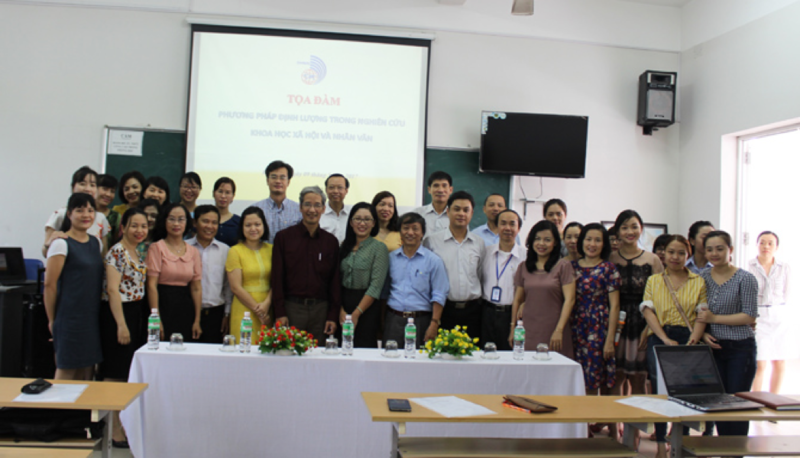 Le Dan provided the participants an overview of quantitative research models, topical structures and an introduction of data analysis methods, hypotheses and how to write a research article in the social field. The seminar was great success thanks to Dr. Le Dan’s enthusiastic training. This was an opportunity for the UFLS staff to exchange and share information about difficulties in social sciences and humanities research. 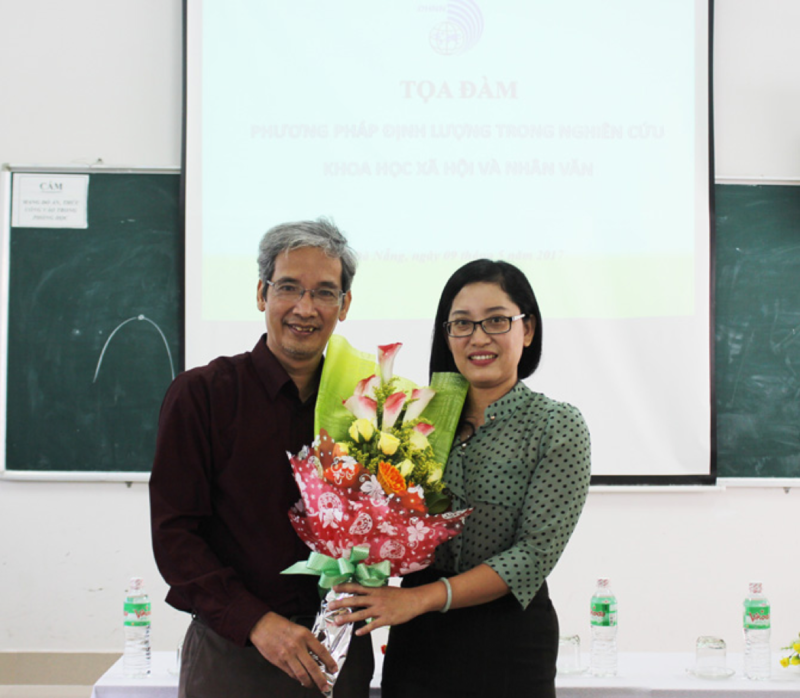 On behalf of UFLS’ management board, Dr. Dao Thi Thanh Phuong - Vice Rector sent a great thank-you to Dr. Le Dan for such an interesting and useful training session.